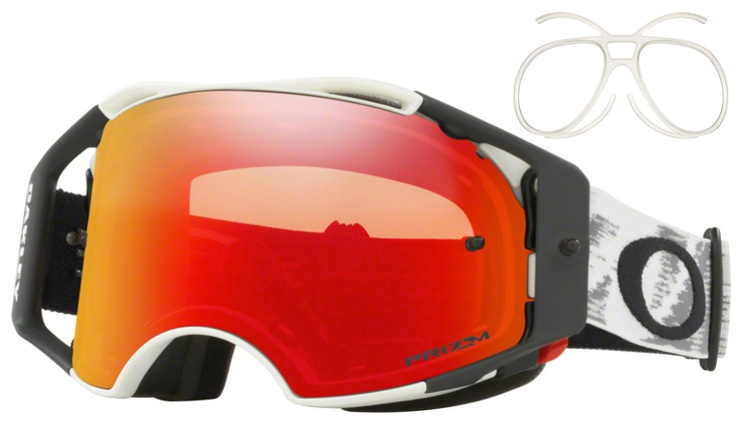 This combination allows you to get the renowned Oakley Airbrake MX Goggles with an optical insert to correct your vision. 1) Value prescription lenses – even our value lenses are a mid index polycarbonate material with a hard coat. 2) Thin and lite prescription lenses – these are made up with 1.67 index lenses. Advised if your prescription is over +/- 4.00. The Oakley Airbrake MX goggles are uniquely designed to allow for the insert to fit extremely securely and tight, even the rockiest of rides won’t rock your vision. The insert can easily be removed for cleaning or contact lens wear, plus if you need to fit a new prescription into the insert you can get it done for less than £35.00. Your prescription is split into three sections, Sphere, Cylinder and Axis. You will most commonly see this written as, Sph, Cyl and Axis. Sphere – Is always a number in 0.25 jumps (i.e. 0.25, 0.50, 0.75, 1.00, 1.25). This can either be written in minus or plus (- or +). IMPORTANT: You must select the correct symbol when ordering (minus or plus, – or +) as selecting the wrong sign will create the completely wrong prescription required to correct your vision. Cyl – Is always a number in 0.25 jumps (i.e. 0.25, 0.50, 0.75, 1.00, 1.25). This can either be written in minus or plus. Axis – Is a number between 0 and 180, it can also be written to point five (0.5) of a degree. This simply happens if the optometrist can’t decide wether you prefer for example 79 or 80 so they simply write your axis as 79.5. In this case lets get your glasses as accurate as possible so please provide us with the 79.5. The in instances when a prescription doesn’t have a value for the Cyl section please leave the Axis blank (or some opticians write this as 0.00), the Axis is indicating what degree the Cyl figure sits at so if there is no Cyl there is no Axis required. Infinity Symbol ∞ – this is another way of writing zero (no prescription) so simply select 0.00 into the corresponding section for either sphere or cyl. Plano – this is another way of writing zero (no prescription) so simply select 0.00 into the corresponding section for either sphere or cyl. Varifocals – What is the Add (Addition) part of my prescription? You typically start to get the add part to a prescription when you hit 40+ and it is a measure of the amount of magnification you require to read. The add is a plus (+) power which identifies how much extra addition (magnification) a glasses wearer requires (on top of their distance prescription) in order to read comfortably at close up distances, such as reading. NOTE: Sometimes an optician will write your prescription for reading as a full prescription rather than simply supplying your reading add. In this case to get your reading add take your distance Prescription Sphere off your reading Shere. The difference between the two figures is your reading add used for Varifocals. 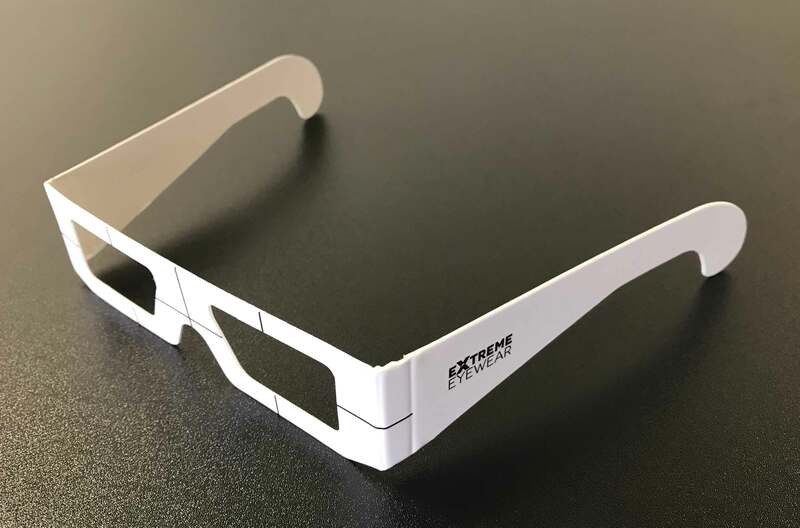 For the Pupil Distance options on the ordering pages select ‘Let Extreme eyewear measure your PD’ and we’ll post you our specially designed glasses. All you have to do is take a simple photo of you wearing our glasses and emailing your photo to us. Our Dispensing Optician will then accurately take your mono pupil distances. Our PD glasses allows our dispensing opticians to gain all the details they need to set up single vision and varifocal sunglasses / eyewear accurately. Let us supply you with perfect vision. This service is free for all prescription eyewear orders. Your Pupil Distance is the measurement between the centre of your right and left pupils in mm. How can you find out your Pupil Distance? You can select to have our Pupil Distance measuring glasses posted to you. These will leave us on the same day you place an order 1st class post. Why have we gone to the trouble of supplying PD Glasses? Prescription glasses and sunglasses always work better when the centre of the optical lens is over your pupil. Not having this set up correctly can cause head aches and limit how well the glasses will work. If you don’t know your Mono Pupil Distances (this is two separate measurements for your right and left pupils) we strongly advise you select to have our PD Glasses posted to you. Varifocals with out mono pupil distances will not work correctly. If you know your Mono Pupil Distances during the checkout there is a comment box, please write your right and left mono pupil distances in this comment box. Your total PD is still the same (65) But by using the separate mono pupil distances the centre of the varifocals will be positioned over your pupils making sure the clear corridor leading to your reading is in the correct position. How do I receive PD Measuring Glasses? We will post the PD Measuring Glasses abroad but please allow a little more time to complete your order. The PD measuring glasses may take up to a week to get to abroad addresses.